Personally, for me, I find that I need to stay organized and follow a strict schedule – or else I would never get anything done! 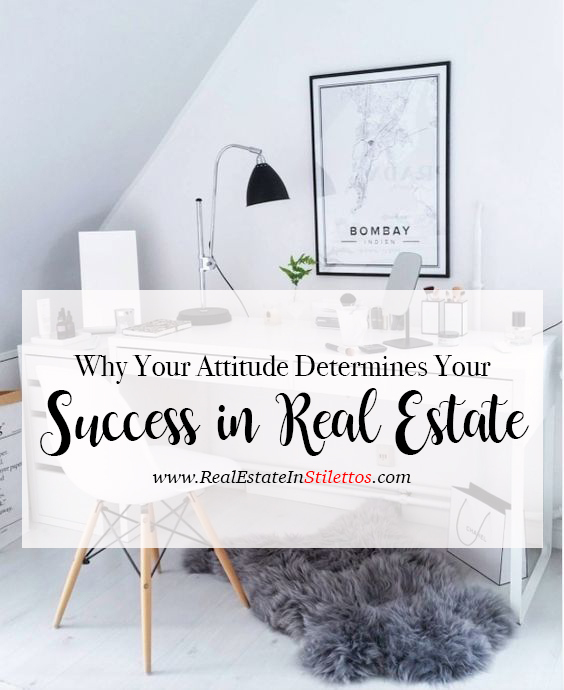 I find that by keeping positive habits, it allows me to be more confident in what I do and not let the stress of one deal flow on to another client. Passion is Everything – You’re probably asking yourself, how can passion be a habit? It actually can, if you make it one. If real estate is a field that you have always been deeply interested in, then you can make your passion for the field a daily habit. As a medium between a buyer and a seller, a real estate agent must always maintain a friendly, sociable disposition, even while negotiating tough contracts. This can be hard, especially if you are going through some kind of personal crisis, but remind yourself that this is your job, and this is what you love to do. They are great at Networking: This is vital, because communication is important when you are serving as a medium between two parties. Not only you must keep in touch with sellers, you should also make sure to develop networks with other professionals, as well as individuals who provide complementary series. They use technology wisely: Technology can be a very handy tool when it comes to a real estate agent’s job. It can give you an edge over your competitor. You can go paperless using a real estate transaction management system. Filing papers and documents is not just a laborious but also a time consuming process. Writing e-books, blogs and articles can help you develop some inbound marketing strategies that will attract clients to you instead of you having to look for clients. Social media can be a very significant instrument. If you release daily content, and engage regularly with your audience, i.e. prospective clients, they begin to notice your substantial amount of knowledge on the real estate market and may look to you when they are in need of an agent. Apart from this, you must keep in mind the basic manners of using technology. Answering phone calls and emails on time is an absolute must. The client should always feel that you are putting his/her best interests first. They make sure that the client has no doubts about their authenticity: You do this by making sure that you come across to your client as being motivated and sincere. Even if you have assistants working under you, make sure that you are the one taking responsibility for all the work that is done. This will assure clients of your credibility. Whatever field or industry you are involved with, common manners and knowledge in your niche is critical for a successful career. Find what works for you and maintain a professional and positive image.